"Hazac Neb" : The Force Spiral of the Universe - A Força Espiral do Universo. "Hagios": Clears and opens the atmosphere for the manifestation of the Ascended Masters and to communicate with them. Limpa e abre a atmosfera astral para a manifestação dos Mestres Ascensos e melhor comunicação com eles. "OS-AR / ISIS"- Inner Center of Self, Divine Mother. Centro de mim, Mãe Divina. March 15, 2018. Porto - Portugal. 15 de Março. JESSY NORMAN, DENYCE GRAVES, William Hicks (L. Pavarotti, F. Corelli, Renee Fleming, Renata Scotto, Anna Moffo...), Steven Crawford (METROPOLITAN). CARNEGIE HALL, SYMPHONY SPACE (New York). PBS (USA), SIC, RTP2 & RDP2 (Portugal), TVP Kultura (Poland). Albany Records (USA), Numérica (Portugal). Roberto ALAGNA, Agnes BALTSA, Angela DENOKE - Vienna. Soprano Coloratura Mariana Alves was born in Portugal,1977. Started music studies with piano lessons at the age of 14 years and her voice studies at 16. Holds a MM and a Performance Certificate in Opera from SUNY Purchase, USA (2009). Undergraduate in Music Education, Aveiro University, Portugal (2006). Exchange music student at Cracow Academy, Poland (2003/4). Won several Portuguese regional music contests as a singer and as a composer between her 16th and 19th year. Participated in two Portuguese TV singing contests. Won the First Prize at the Young Singers Festival of Stª Mª da Feira, Portugal (2000). Recorded her first original music album “O Castelo-The Castle” in 2001. Was Awarded the Young Creators Scholarship by the Portuguese Institute of Youth and the National Portuguese Center for Culture in 2006 and 2007. Past role: The Queen of the Night in Mozart’s “The Magic Flute”, Aveiro/Vila do Conde,Portugal. She is a polyglot, writer, photographer, composer, actress, voice teacher, Holistic Healing Master-Therapist. 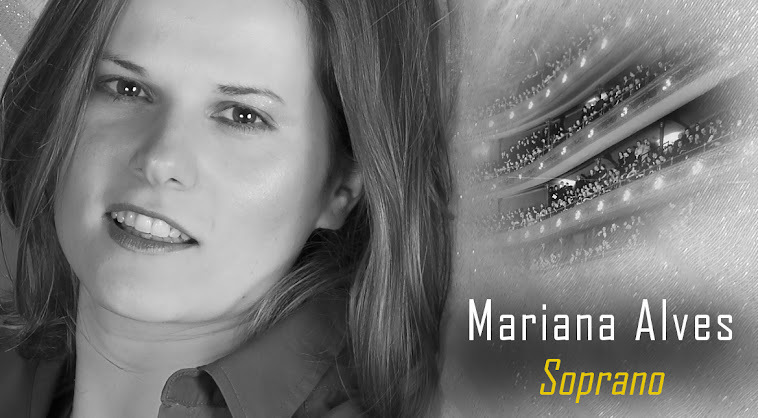 Mariana was Artist-in-Residence at New York Lyric Opera Theatre as well as Assistant Director and was part of the Alissa Grimaldi Studio Opera for Singers (NYC).